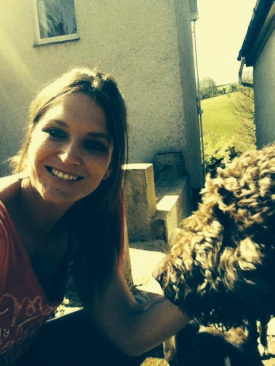 My name is Katie and I grew up in South Devon with a huge passion for animals and nature. Over the years I have enjoyed keeping cats, dogs, rodents, fish and a range of exotic pets including snakes, scorpions, tree frogs, lizards and various insects to name but a few. I have achieved a BTEC National Diploma in animal care, which I completed at Paignton Zoo in Devon, gained a certificate in Game Ranging and Wildlife management and also studied for a Bsc in Zoology and Ichthyology (fish!) in South Africa. Volunteer work has also played a big part of my life. I have travelled to some remote places around the world and have been lucky enough to witness some amazing animals that are now close to extinction. The voluntary work, which I was involved with, includes working on a wildlife rehabilitation program in Ecuador dealing with the illegal pet trade, helping out at a small Zoo for endangered species in Devon and working on Shamwari Game Reserve in South Africa. In the last 10 years I have worked extensively with dogs, first of all working in kennels in South Devon. I then moved up to London to work as a dog walker/handler and hold a professional dog walking licence for use in London’s parks. Over the years I have combined my skills and love of animals to create a high quality and professional service that is ‘Wicked Walkies’. 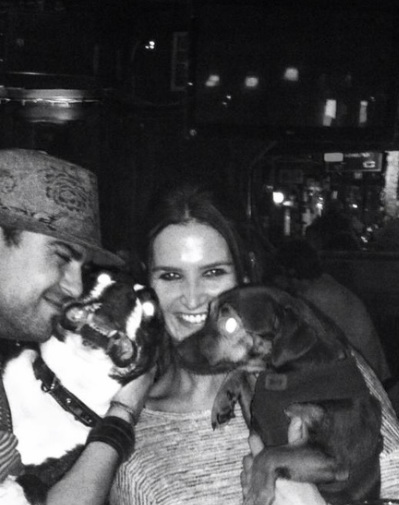 The latest member of the Wicked Walkies family is Amy Walters- 30 years old, from West Dulwich, London. Working as a dog walker/carer for a pet care company with Katie and honing their animal care skills together. Amy herself consequently ran her own dog day care service very successfully- until they both decided three heads are better than one, and collaborated to run Wicked Walkies as a team. Amy has a background in Biological Sciences, an Msc in Conservation from USC and also gained a second Msc in Veterinary Physiotherapy, specializing in treating dogs and horses. A passionate horse rider who specializes in working with dogs with difficulty and those who are recovering and rehabilitating from injury, Amy has extensive experience with a range of different animals, but always has a special place in her heart for our waggy tailed, furry friends! Amy will be launching her canine and equine physiotherapy website soon- watch this space for more information! With three true animal lovers on board, you can be rest assured that your special four legged friend is not only going to be in safe hands, but will also have the time of their life!